This is a MAGIC !!!!! 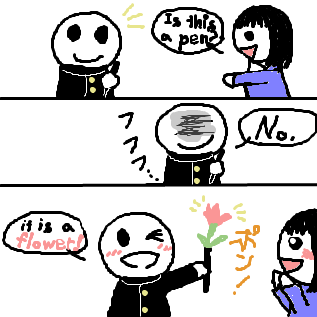 A: Is this a pen? B: No, it is a flower. タイトル:This is a MAGIC !!!! !